Ladies and gentlemen, the statement shown in the video below is six minutes long and should be seen by every single citizen of the United States of America, man, woman and child. 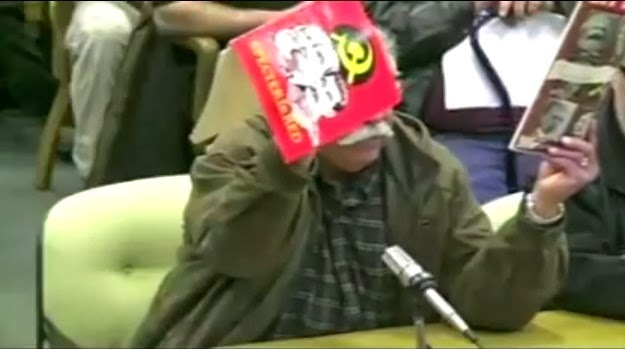 At a public hearing on proposed gun control legislation, Manuel Martinez, a man who escaped Cuba in 1962 after opposing Fidel Castro and being imprisoned for it, blasts Oregon gun control lawmakers in an impassioned speech that only someone that has lived through communism and Marxism, only someone that watched innocent men, women and children murdered by their own government, only someone that fought against his whole country being enslaved by a dictator, can give. “They come here in those dog and pony show and cry that their going to protect people. You’re going to protect nobody! I want to know what is behind it? Do you know what is behind the problem we have in this country with it’s Marxism,” Martinez said. “They put this dog and pony show saying hey, we are going to protect you. No, what they did was enslave a country,” Martinez said. “They destroyed a country the same way that this country is going to be destroyed if we continue in this fashion. This is what you’re selling here!” Martinez said, holding up old communist magazines from Cuba and stating “This is what you selling here!! You are not selling protection! You don’t care about if we die or live! THIS IS WHAT YOU’RE SELLING!!! That is just a a portion of this man’s statement, watch the entire video as Manuel Martinez speaks up and fights for your rights guaranteed to you under the US constitution. The fact that an immigrant, a man who fled to the US to escape tyranny and a dictator like Fidel Castro, is willing to stand up, speak out and fight harder for OUR constitutional rights than half the people who were born free in America, says so much about how clueless some Americans truly are to how close to being totally enslaved we are at this moment in time.